Our accommodation last night was a room in a family house – simple, cheap, clean with good hot shower. But on waking before 6am, ready for an early start, the weather looked all wrong with low cloud completely obscuring the beautiful scenery. Alas! We started out anyway and the clouds began to lift and gradually the scenery reappeared. Hurrah! 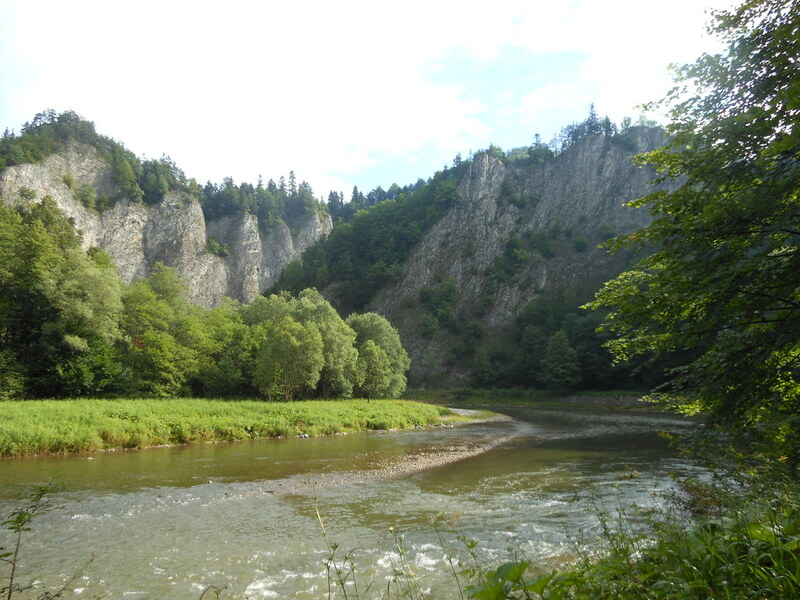 The most spectacular section of the Dunajec Gorge is accessible only by foot, bicycle or raft. The river winds around some dramatic bends for about 9km with steep limestone cliffs and dense forest along the way. The cycle/walking path is on the true right bank of the Dunajec river and provides a great view of the river and surrounding peaks. We emerged at Lesnica to find a cafe open for coffee and breakfast – this is just one reason why Europe is perfect for a cycling tour! Other reasons were confirmed as we continued – low traffic country roads, villages full of interesting and delightful sights, houses painted in bold colours, men scything, countryside full of ripening wheat and barley, eastern European style haystacks, storks feeding in freshly mown fields, shepherds minding sheep, sheep with bells, mountains in the distance. At Spisska Bela we found, at last, a helpful tourist information office and we now have a nice map of Slovakia. We also found a bike shop for chain oil and pumping up tyres. The proprietor was interested in our trip and presented us with 2 energy bars to help us along the way – so kind! Today was our first cold day, although we have been putting on and taking off jackets depending on gradient of road. Now we are at Tatranska Lomnica, in the Tatra Mountain region of Slovakia. From the hotel window we can see the cable car to Lomnicky Stit, one of the highest peaks at over 2600m. Clouds are coming down now, so we will hope for clear weather in the morning. 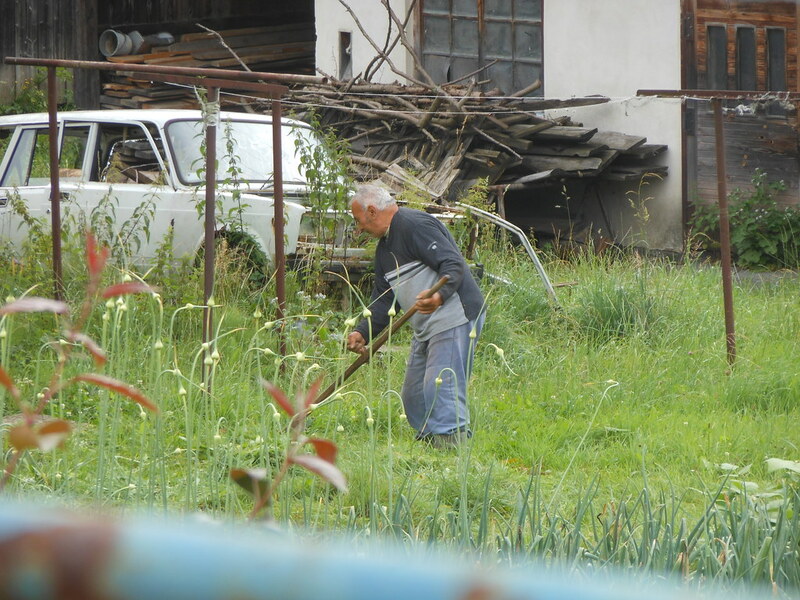 This entry was posted on 17 July 2012 at 3:15 pm and is filed under Slovakia. You can follow any responses to this entry through the RSS 2.0 feed. You can leave a response, or trackback from your own site.